Apple TV 4K will boast the same processor as iPad Pro. 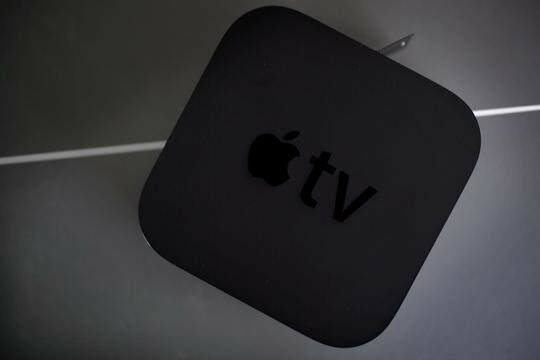 The new Apple TV, expected to make its debut alongside iPhone X at a special event on Tuesday, will need powerful new internals to drive super-sharp 4K video. According to the latest discoveries in Apple’s own code, “Apple TV 4K” will have just that. It will rock the same processor as the latest iPad Pro — plus ample RAM — to become by far the most powerful Apple TV yet. iOS developer Steve Troughton-Smith has uncovered all kinds of interesting secrets about Apple’s next-generation devices in its code. An iOS 11 GM release that leaked out on Friday has revealed even more about iPhone 8, iPhone X, Apple Watch Series 3, and now Apple TV 4K. That will be the set-top box’s new name, according to the findings — which will make it easy for customers to distinguish between the most recent model (assuming that remains on sale at a more affordable price) and the new model capable of displaying 4K video. As for its specifications, Troughton-Smith found the device will be powered by an A10X Fusion processor and 3GB of RAM. That’s the same processor you get in the latest iPad Pros, and it will make the new Apple TV insanely powerful. Coupled with the additional RAM, this chipset won’t just deliver sharper video, but also a smoother and snappier experience when navigation tvOS and playing the latest games. Compared to the A8 chip in the last Apple TV, graphics performance has been improved significantly. Apple TV 4K may have been powerful enough to display 4K video with an A9 or A9X chip, but it’s thought the A10X is required to play back 4K video at 60 frames-per-second — which we should be able to shoot with the upcoming iPhone X.
Apple is expected to announce new content deals alongside Apple TV 4K, which will make Ultra HD movies and TV shows more accessible for tvOS users. Its special event will be the first held in the Steve Jobs Theater at Apple Park, and it kicks off tomorrow. We’ll be live-blogging the whole thing right here on Cult of Mac.